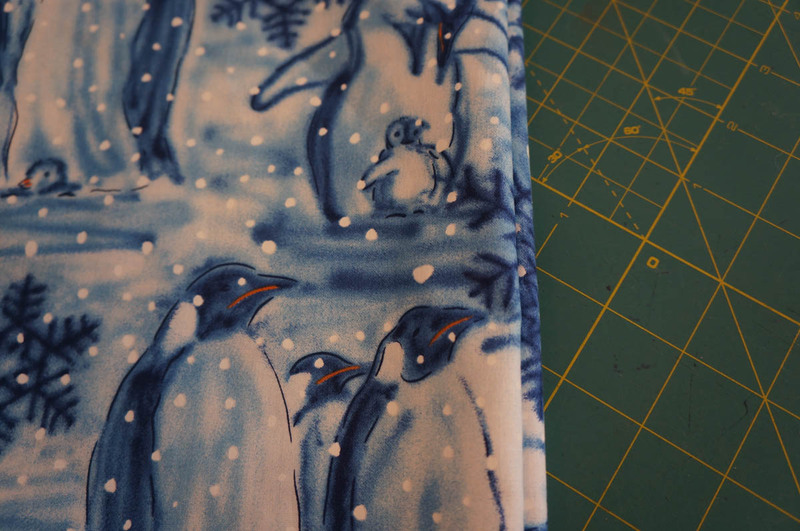 Linda Chang Teufel, publisher of Dragon Threads Ltd., shares her favorite pressing tips. 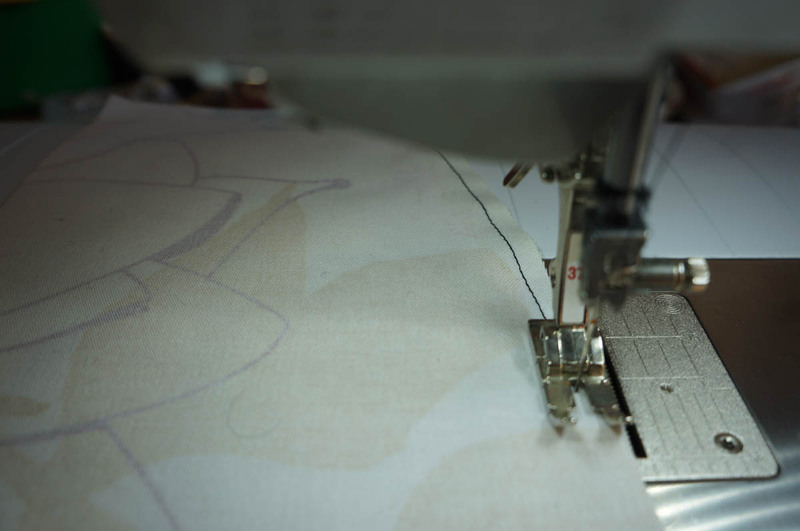 What’s the difference between a good sewist and a great sewist? Pressing! 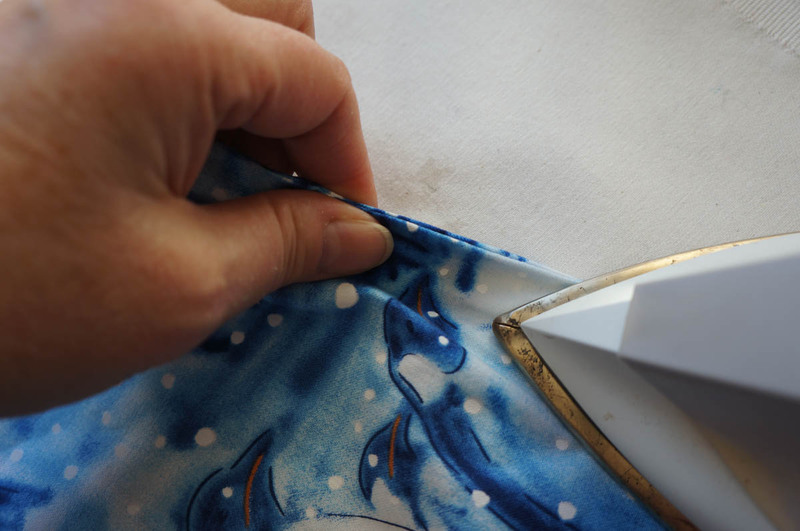 All sewists learn that good pressing is the key to making your project look professional. Many times a pattern calls for an edge to be pressed under such as on the outer edge of an armhole or neck facing or for a hem. No matter if it is 1/4″ or 5/8″, I always ‘draw’ the line first with my sewing machine. 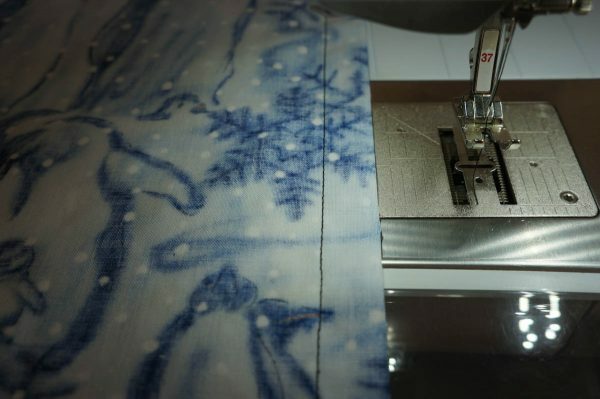 Using a Patchwork foot #37/#37D foot or a Reverse pattern foot #1/#1C/#1D…place your fabric under the machine and sew (draw) the line width you need with the machine. I use a regular stitch length of 2.5 mm. Use matching thread so it won’t show (since it is on the fold edge, it won’t show very much anyway). Then go to the ironing board and you have an accurate guide for pressing under the edge. It’s easy to feel the stitching for turning under even if you can’t see it (because it blends in with a print for example). Just follow your finger fold with the tip of the iron. It’s easy and accurate. For times when you have to fold back a seam on an edge and the seam has to lay flat…for example: turning a facing back. 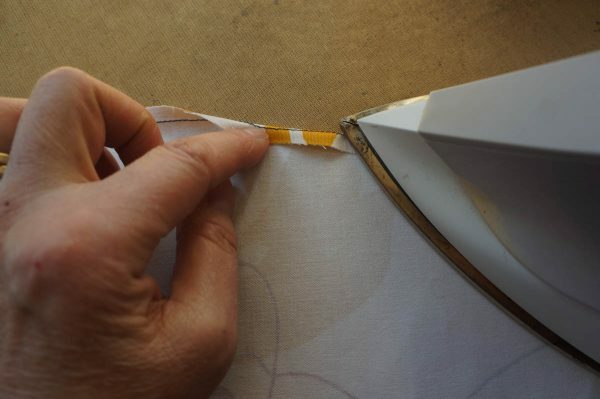 This tip is especially handy when you can’t press the seam to one side because it is a ‘closed’ seam as in a pillow. Sew right sides together as directed in the pattern. Take a sponge or a spray bottle and wet the seam edge fairly well. You don’t need to soak it but it needs to be wet through all the layers. Then it will be easy to ‘roll’ the edge between your fingers until you feel the layers are flat. Follow behind with your iron. Previous Previous post: Meet New BERNINA Brand Ambassador, Erica, of Erica Bunker DIY Style! Great tip. Have been doing this a long time, but didn’t know about the spraying with water idea. Anxious to give it a try. Thanks for the post. This is how we were taught in school. Also stitch down about 1/8 inch from the seam on the back side. I suppose wetting the seam is a step up from steaming with an iron. Will be giving this a try. Thanks. AMEN, AMEN, amen! let me add one more, amen! I absolutely love these tips. I can’t believe it’s all so easy and will really help!!! Can’t thank you enough. Thank-you so much. These two tips will be used often. 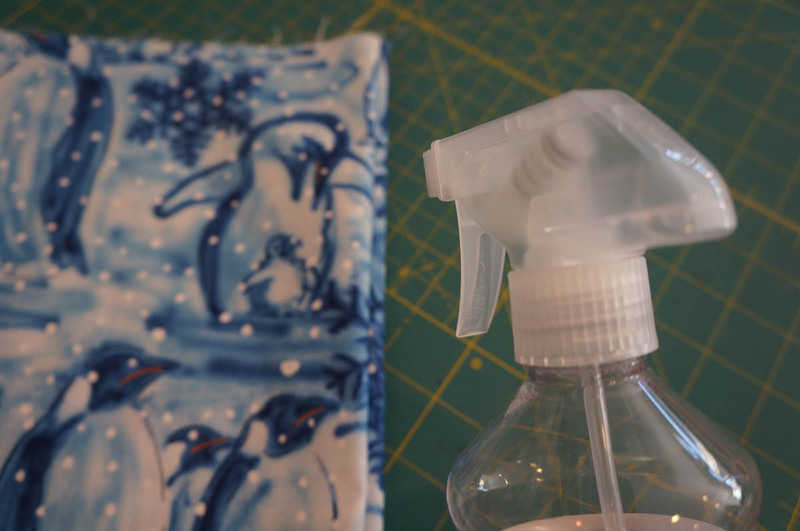 I have been sewing for 50 years and no one has ever shared these two tips. Thank-you again.